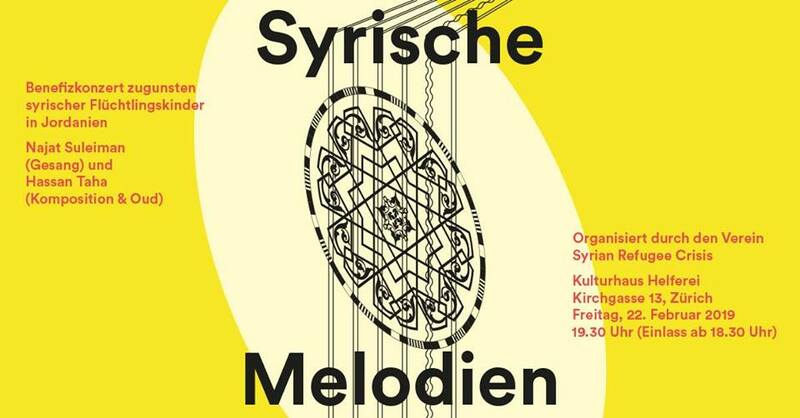 Also check out the «Kulturanlass: SYRISCHE MELODIEN» down below, organized by our dear friends and members from Syrian Refugee Crisis! We look forward to seeing you all soon inshAllah. 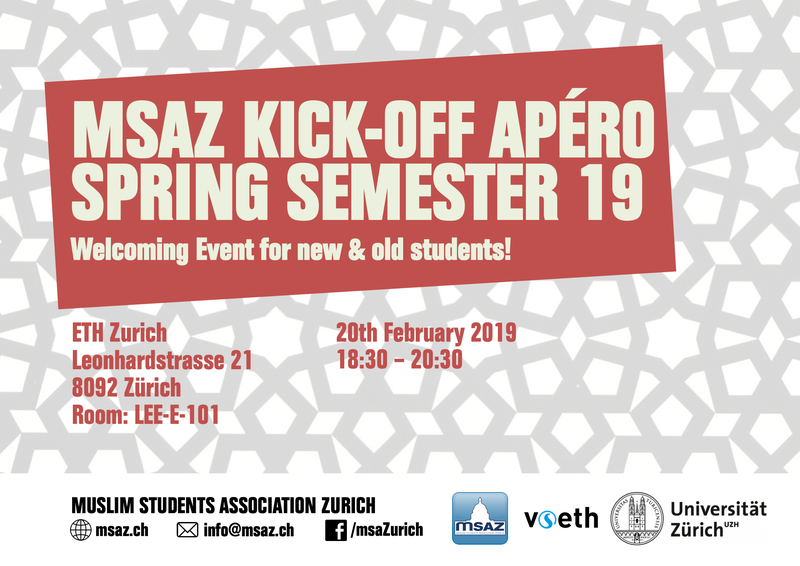 Whether you are a newcomer, advanced (PhD) student or alumni, you are all cordially invited to our traditional semester kick-off! First we will present our association and the semester program and will then have the chance to get to know each other better over the aperitif. Looking forward to see you there! 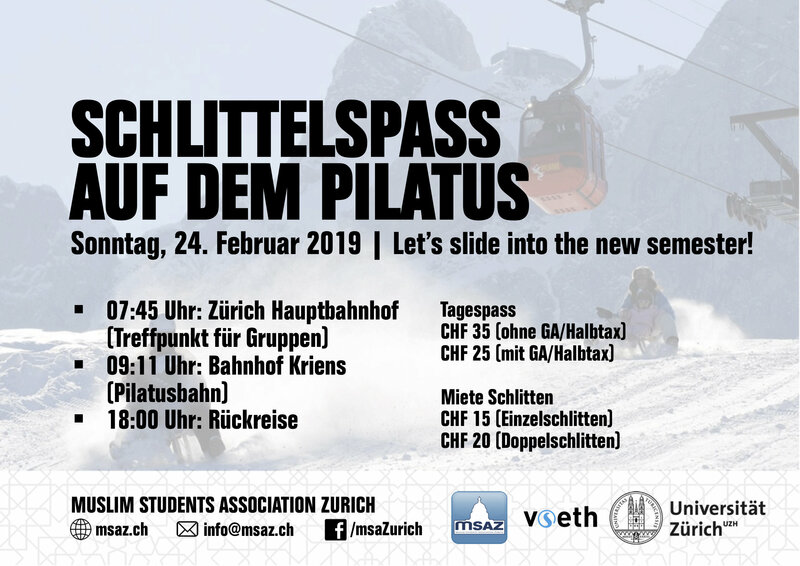 For all snow lovers we are organizing a sledging day on the beautiful Pilatus! All further information can be found on the flyer. Please register in advance. 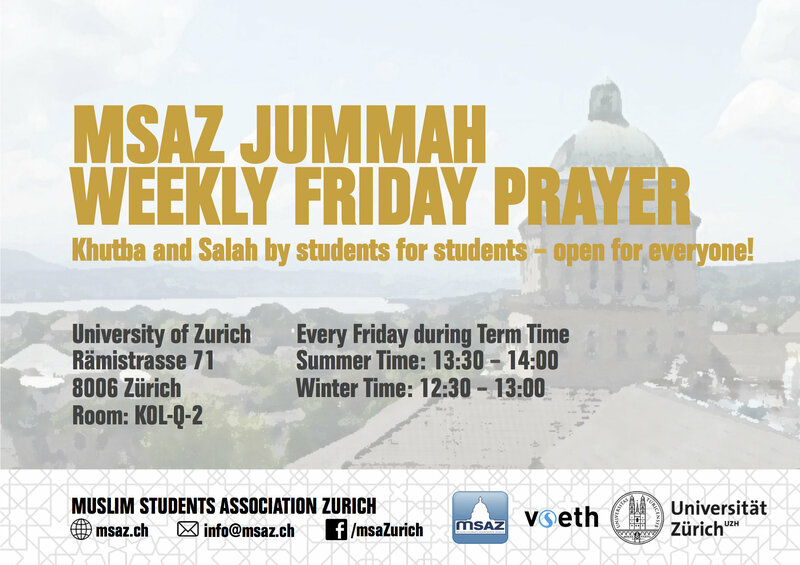 The «Jummah» Prayer at the university takes place every Friday during term time and is open for everyone! We are urgently looking for brothers who would like to hold a Khutba once a semester. Condition: Student or employee at the ETH/University of Zurich. 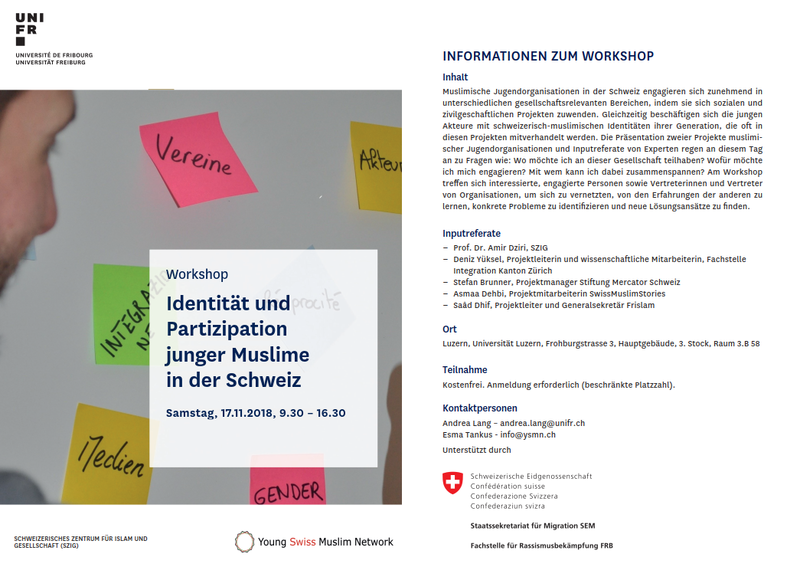 If you are interested, please contact Ayub. In the bi-weekly meeting called «Quranic-Reflections», we try to ponder the Quran on a spiritual and intellectual level. Our aim will be to benefit from the Quran as a source of answers and in particular, to approach it as a source of questions and reflections. By reading Tafsirs and discussing on them, we can expand our knowledge of the Quran and in this way try to come closer to it. 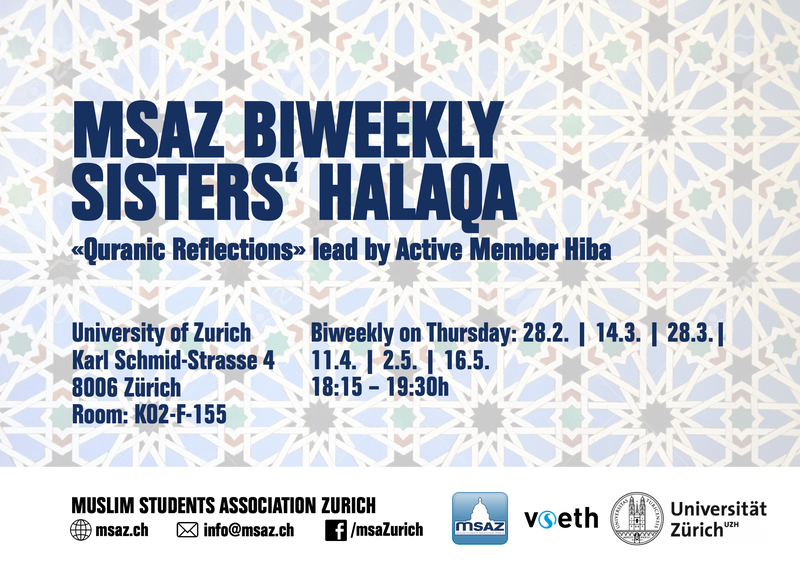 We are always very much looking forward to an enriching presence of muslim and non-muslim fellow student sisters. Am Freitag, 22. Februar 2019, 19.30 Uhr spielen die Sängerin Najat Suleiman und der Komponist und Oudspieler Hassan Taha im Kulturhaus Helferei für Syrian Refugee Crisis. Der Erlös aus dem Billetverkauf geht wie jedes Jahr vollumfänglich ans Happiness Again Traumazentrum in Amman. Najat Suleiman und Hassan Taha spielen syrische und arabische Lieder über Liebe, Freiheit und Frieden. Ihre Musik vereint verschiedene orientalische und arabische Gesangstechniken und Musikstile. Seit 2011 treten Suleiman und Taha als Duo auf. 2018 erschien das Album Alrozana, eine Synthese aus syrischer und schweizerischer Volksmusik, komponiert von Hassan Taha und realisiert mit dem Ensemble «Brunnen & Brücken». Die Sendung Kulturplatz des Schweizer Fernsehens SRF berichtete. Billets können direkt bei TICKETINO bestellt werden. Einlass mit Apéro ab 18.30 Uhr. Der Verein bieten auch dieses Jahr wieder die Option an, zusätzlich zum Kauf eines Billets einen Monat Traumatherapie im Wert von CHF 100 zu spenden.